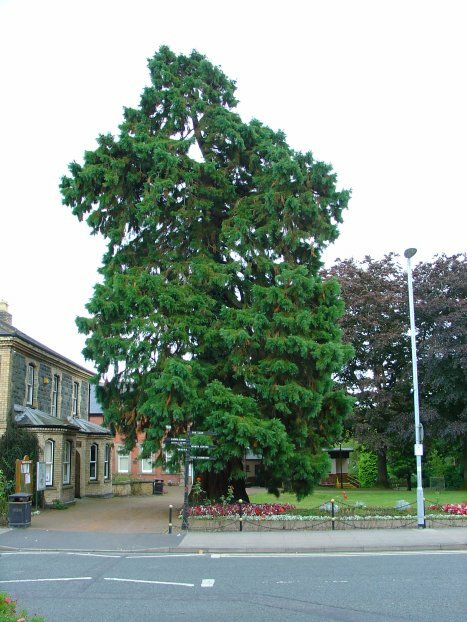 A Wellingtonia occupies a place by the Memorial Gardens adjacent to the Council Offices. 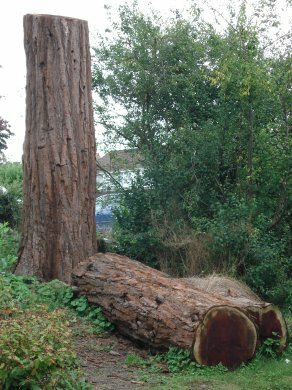 In a small garden next to the car park, there was another tree, now unfortunately cut down. A sad sight. 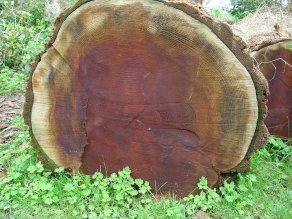 I counted the rings in the trunk and estimated it to have been around 100 years old.